Create a special connection with your baby that will last a lifetime. A Tiny Perspective uses 3D and 4D HD ultrasound technology so that you can actually see your baby in live 4D motion while in your womb. It is a memorable experience that you will cherish for a lifetime! Nothing compares to seeing 3D and 4D HD ultrasound images of your unborn baby. At A Tiny Perspective you will be able to actually see what your baby is going to look like before he or she is born. Our exciting new technology will allow you to share your 3D/4D HD ultrasound experience LIVE – in real time, privately across the Internet with anyone in the world! Using a secure broadband Internet connection and our password-protected site, your friends and family can now experience the sights and sounds of your 3D/4D HD ultrasound session with you, both live as well as on demand! Surprise the Mommy-To-Be in your life with a 3D/4D HD Ultrasound Gift Certificate! It is sure to be an unforgettable experience for the Mommy and family. Check out our packages, or call for details! 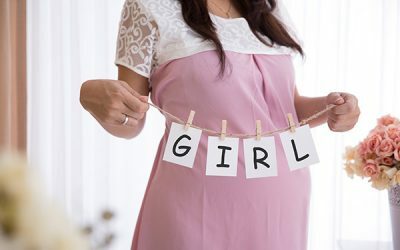 Take advantage of our 2D Gender Reveal package for only $50! Get a quick scan to determine gender; 2 Black & White 2D prints; and a BONUS $50 credit towards a future 3D/4D HD Basic or Premium package (during the same pregnancy)! We specialize in 3D & 4D HD Ultrasounds for expectant mothers, allowing for a positive bonding experience between the mother, father, family members and their unborn baby. We feel that realistic surface images provide a connection between parents and child that can be beneficial to the whole family. And with 4D High Definition scanning, the baby can be seen to yawn, cry, swallow, and even blink!